Church Mice in Olney is held at the parish church of St.Peter and St.Paul on Thursday's (term time) at 10.30am. 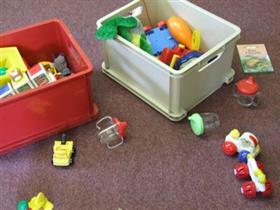 Organisers say: "Church Mice is for children under 5 with their parents or carers. It is an informal time with craft activities, songs, stories and time to chat. Church Mice provides a warm welcome to all and provides a great space to share time together for adults and children alike." There is usually a bible-themed craft, storytime and chance to play in the toy corner. Drinks are served by church volunteers. Suitable from 18 months.